Bringing nature into the workspace may promote health and decrease stress. April was National Stress Awareness Month, and I had an opportunity to talk to groups of employees about work-related stress and triggers. A commonly referenced “model of stress” includes organizational factors as potential sources of stress in addition to environmental and personal factors. Organizational factors include task, role and interpersonal demands; organizational structure; and leadership resulting in feelings of boredom, lack of control, role ambiguity, role conflict, overload, unfairness and insecurity. Depending on our perceptions and previous experiences with stress, the stress may affect our physical and psychological well-being, leading to headaches, high blood pressure, heart disease, anxiety, depression and/or a decrease in job satisfaction. Work-related stress may also result in less productivity, absenteeism and turnover, affecting co-workers, supervisors and the team as a whole. Simply, what we experience at work affects our quality of life. The good news is the work environment can be a positive influence too! Strong management, infrastructure and surroundings can have a positive impact on our quality of life! So rather than curl up in a fetal position or fall flat on the floor and give up, here are some suggestions! Talk with your employees. Have regular discussions regarding expectations and workloads with your employees. Do you have an employee who is bored or overloaded? Meet to jointly consider solutions, allowing the employee to provide input. Routinely review job descriptions. Are they current and accurate? If so, review the job description with the employee to ensure there is clarity and understanding. If not, consider a formal review through the university’s Job Analysis Questionnaire process. It is an investment in time, but if it heads off absenteeism and turnover down the road, it is worth it. Anticipate and plan for peak periods. Recognize that workloads aren’t getting smaller. Look for ways to work smarter, not harder. Sharpen the saw. Supervisors are expected to attend a LEAD Your Team program to gain or maintain insight and awareness of supervisory practices and policies. Have you attended? Regular discussions are great; however, meetings shouldn’t take over our work lives. One Harvard Business Review article, “Employee Burnout Is a Problem with the Company, Not the Person,” highlights the negative impact of excessive collaboration. Consider how frequently meetings should be scheduled, how long they last and who really needs to attend. Healthy workspaces. 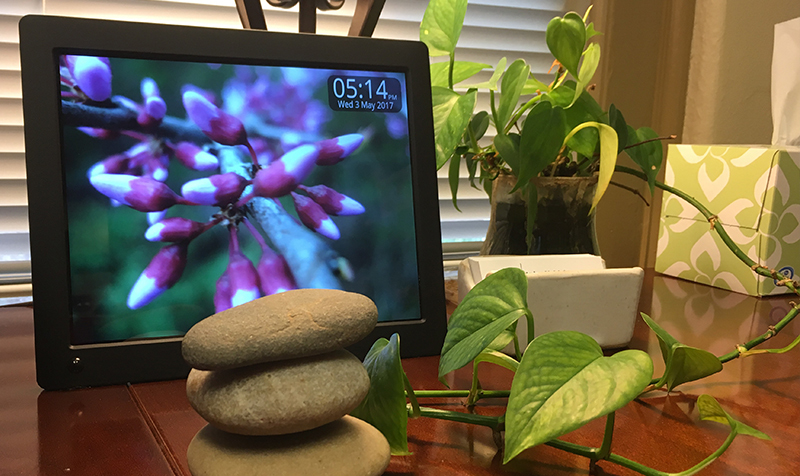 Not all of our employees benefit from a window view; however, most of our employees have access to one of the most beautiful campuses and can bring nature into their workspace (rocks and pictures in addition to plants). “A handful of workplace studies have suggested that nature contact experienced at work or in an office setting may be health promoting,” with participants reporting a decrease in perceived stress and generalized health complaints. Take a break. Both exercise and exposure to nature are beneficial in reducing stress. So set your watch, smartphone or fitness device to remind yourself to take a break every 90 minutes. Movement or “brain breaks” benefit us emotionally, physically and intellectually. These are stressful times and again, depending on our perceptions and previous experiences with stress, the stress may be detrimental to our physical and psychological well-being. So let’s get ahead of it and consider some of the practices suggested. For full disclosure, I may look like I have it together some of the time, but my family and those who work closely with me know it is practice and work, and sometimes, I still fall short and hop on that stress merry-go-round. We are in it together. Let’s support each other while we all help establish new cultural norms around these practices.